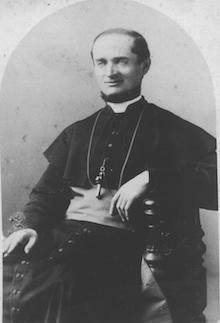 The life and legacy of Winand Michael Wigger (1841-1901), the third Bishop of Newark and first of German extraction was elevated to leadership of the largest Catholic see in New Jersey by 1881 at a time when the Diocese of Trenton was formed to serve the faithful in southern New Jersey. 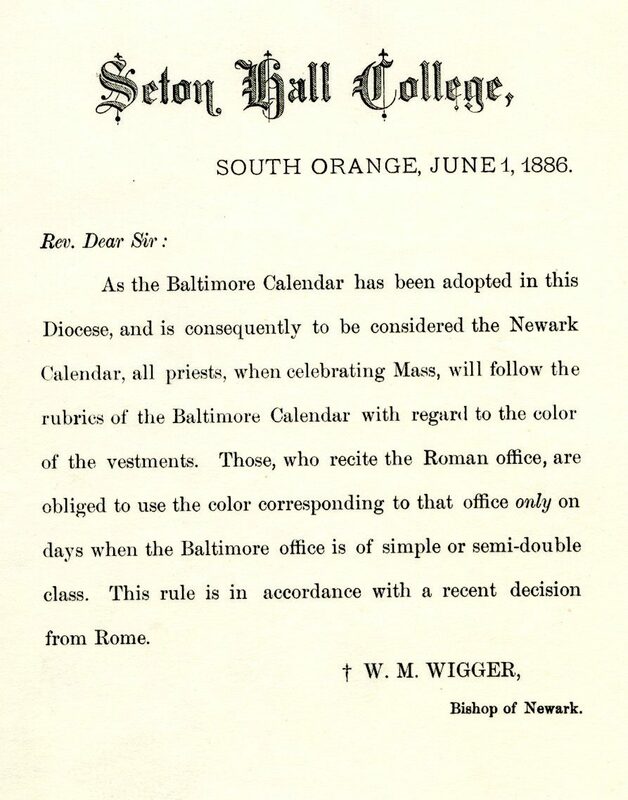 On a wider scale, the Church was undergoing various changes as a result of nation-wide meetings among the Catholic hierarchy known as the Plenary Councils of Baltimore held in 1852, 1866, and 1884 during the time of Bishop Wigger. Baltimore was the first Catholic Diocese of the United States (formed in 1789) and as more geographical provinces were made (Newark christened in 1853 being a part of the Province of New York established in 1808) the leadership met to discuss and adopt standard policies and “discipline” based on proper Church teaching and mission meetings and decrees that came out of Maryland would be enacted locally including the Diocese of Newark. These councils yielded interesting ties to New Jersey including the creation of a standard “Baltimore Catechism” written by Father Januarius De Concilio, a priest of the Diocese of Newark (1885) and consideration of Seton Hall as the official national “principal seminary or university” for the United States, but ultimately the Catholic University of American (founded in 1887) became the ultimate choice. Aside from these key historical footnotes on a local level Bishop Wigger working with Michael Augustine Corrigan, Bishop of New York (and second bishop of Newark previously) worked together with other church leaders within the New York Province to draft recommendations based on the Baltimore debates. Among the documents found in the Wigger Collection include the following examples include various circulars fro the spring and summer of 1886 including one from April 15th which reads in part . . .
Bishop Wigger also sought to stress attention to academics throughout the Diocese of Newark from grammar school through Seton Hall College . . . 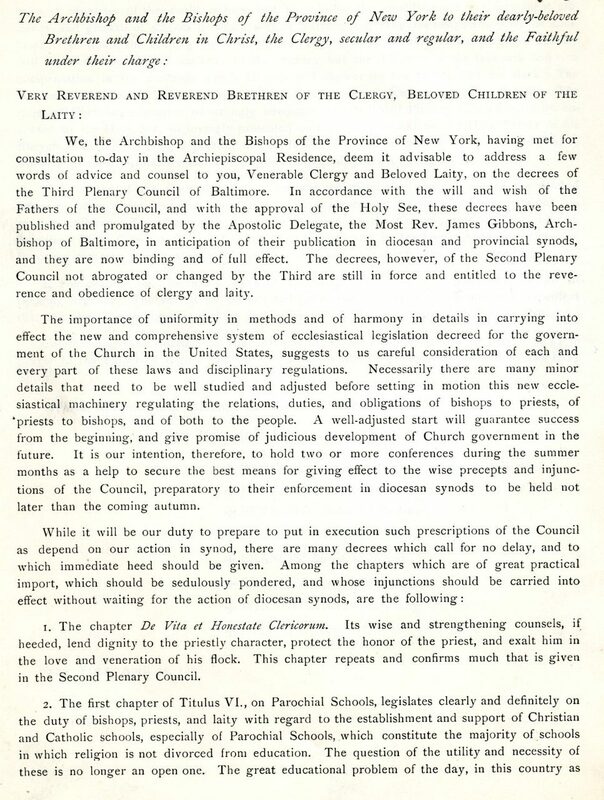 These and other pronouncements issued by way of circulars to the clergy of the diocese, Seton Hall College, other institutions, and expressed to parishioners was part of the chain of messaging that kept the work and vision of the Church connected during the time of Bishop Wigger with the Councils being among the last major conferences aside from various diocesan synods and periodic intiatives that defined the American Catholic Church that arose above mission status by 1908 in the eventual wake of the Baltimore Councils. More information about the administration and legacy works of Bishop Wigger as a church leader can be found within the following collection, the Winand Wigger papers, 1864-1919. For more information about Bishop Wigger, or other queries regarding Catholic New Jersey please feel free to contact us by e-mail:Alan.Delozier@shu.edu or via phone at: (973) 275-2378. Thank you in advance for your interest.